Rapper Kayne West announced Kim Kardashian's pregnancy during a concert Sunday in Atlantic City, New Jersey. Twitterverse explodes: Kim Kardashian is pregnant! [Update at 11:27 a.m.] Kim Kardashian formally announced the news herself in a post on her website Monday: "It’s true!! Kanye and I are expecting a baby. We feel so blessed and lucky and wish that in addition to both of our families, his mom and my dad could be here to celebrate this special time with us. Looking forward to great new beginnings in 2013 and to starting a family. Happy New Year!!! Xo"
The Twitterverse exploded early this morning after everyone’s favorite bad boy rapper Kanye West announced that his girlfriend – the famous-for-being-famous Kim Kardashian - was pregnant. Kardashian, for her part, is still legally married to Kris Humphries - although she filed for divorce from the NBA player 72 days after tying the knot in October 2011. Soon after this morning's announcement, Kardashian family members took to Twitter to share the news with the world. Keeping secrets is hard with so many family members! Especially when you are so freaking excited!!!!! LOVE is everything!!!! Khloe and Kourtney are Kardashian's sisters, and Kris Jenner is the new grandma-to-be. Within minutes, the hashtag #Kimye took off on Twitter - as did the inevitable ribbing. 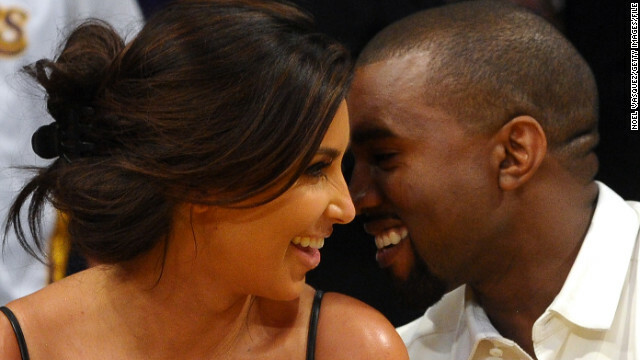 Some poked fun at West's healthy ego, saying Kanye will name his baby "Kanye" - or perhaps "Babye." Others alluded to West's infamous interruption of singer Taylor Swift's MTV Video Music Awards speech in 2009 when he grabbed her microphone and let loose an outburst on behalf of singer Beyonce Knowles who had lost out in the Best Female Video category to Swift. "Taylor, I'm really happy for you, and I'm gonna let you finish, but Beyonce had one of the best videos of all time," West said that night. Judging from the tweets this morning, that incident is still fresh on many minds. I don’t mean to interrupt Kanye’s special announcement, but Beyonce’s was much better. With only hours left Monday to avert what economists predict will be a one-two punch to the U.S. economy, Senate Democrats and Republicans were trying to negotiate a last-minute deal aimed at heading off a year-end combination of spending cuts and tax increases that could trigger a new recession. The Senate was scheduled to reconvene at 11 a.m. ET, when Majority Leader Harry Reid said he hoped to have an announcement despite acknowledging Sunday that there was "still significant distance between the two sides." The negotiations hit a stumbling block Sunday over a Republican demand that a deal to avoid the "fiscal cliff" include changes to Social Security benefits, even as the two sides appeared close to agreeing on who would be required to pay more taxes once the Bush-era tax cuts expire. As the fiscal cliff looms, what's your New Year's message to Washington? Go to CNN iReport to share your video. A drone strike killed four militants in North Waziristan, one of the seven districts of Pakistan's volatile tribal region bordering Afghanistan, two Pakistani intelligence officials told CNN. The officials said the drone fired two missiles at a militant hideout. Former Egyptian President Hosni Mubarak was transferred to a military hospital after doctors found fractures in his ribs from a recent fall, his lawyer said. Mubarak is serving a life sentence in a Cairo prison for his role in the deaths of protesters during last year's uprising. The 84-year-old suffered a head injury and a bruised chest when he slipped in a prison hospital bathroom this month. Last week, he was taken to a military hospital for X-rays on his head and ribs, and returned to Tora prison the same night, according to his lawyer, Farid El Deeb. Doctors determined his condition requires more attention and better medical equipment not available at the prison, his lawyer said. The lawyer is demanding that Mubarak remain at the military hospital permanently so he can get access to proper care. After a Christmas holiday, President Barack Obama returned to Washington from Hawaii and the U.S. Senate reconvened Thursday as the deadline approached for going over the fiscal cliff of automatic tax hikes and spending cuts. However, the House remained on Christmas break, with members warned they could be called back on 48 hours' notice if needed. Hopes for a so-called grand bargain that would address the nation's chronic federal deficits and debt appeared dashed for now, with four days remaining to reach agreement on a smaller plan that would avoid the harshest effects of the fiscal cliff's tax increases and slashed spending. Will fiscal cliff hurt economy? 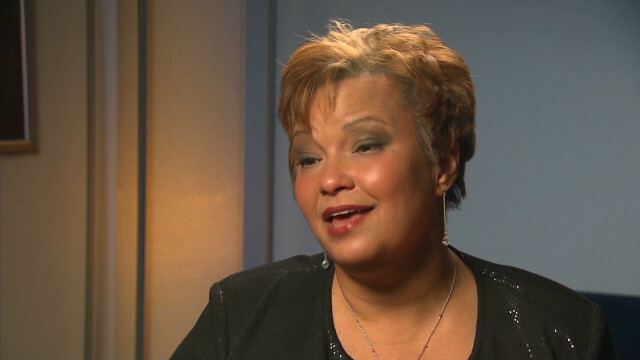 Environmental Protection Agency Administrator Lisa Jackson announced that she is leaving her post after the State of the Union Address, according to a release on the Agency's website. You can read more on our Political Ticker blog. Ousted Egyptian president Hosni Mubarak sits inside a cage in a courtroom during his verdict hearing in Cairo on June 2, 2012.
bathroom this month, his lawyer Farid El Deeb told CNN. [Posted at 8:19 a.m. ET] Former Egyptian President Hosni Mubarak, who is serving a life sentence in a Cairo prison, is being transferred to a military hospital for medical treatment, state-run TV reported Thursday. Egypt's state prosecutor ordered the transfer. An update of Mubarak's health was not given. 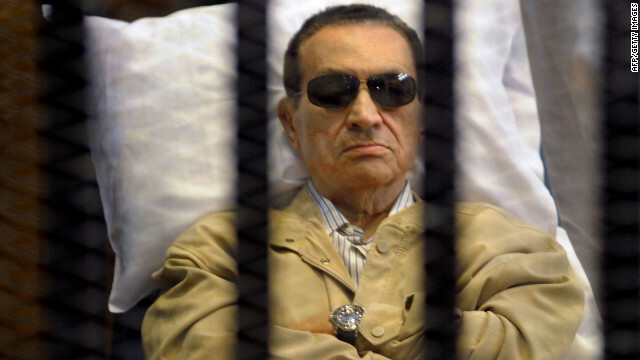 Mubarak suffered a head injury and a bruised chest when he slipped in a prison hospital bathroom this month. The 84-year-old is serving a life sentence in Cairo's Tora prison for his role in the killing of pro-reform demonstrators during Egypt's recent revolution. "Thank you for understanding our message of appreciation and our need to now defer gifts to others in need." The town has received worldwide support after Adam Lanza opened fire on Sandy Hook Elementary school, killing 20 children, six school employees and his own mother before taking his life. People can still donate through the Sandy Hook Donations Fund, maintained through United Way of Western Connecticut. In his latest diplomatic push to end the Syrian civil war, U.N. peace envoy Lakhdar Brahimi said the conflict could be over in a "few months" - provided that warring parties agree to a plan with a transitional government. Brahimi is in Damascus this week meeting with President Bashar al-Assad and other officials. "I discussed with all the parties the need to have a transitional government that will hold broad powers," Brahimi said in a statement aired on Syrian state-run TV. He pushed for the implementation of the Geneva communique, a plan laid by world leaders in June that calls for a transitional government, an end to violence and lasting democracy. "The Geneva communique had all that is needed for a road map to end the crisis in Syria within few months," Brahimi said Thursday. The plan united countries that had been at odds on how to handle the Syrian crisis. Russia and China joined France, the United Kingdom, the United States and Turkey in agreeing on the plan. Another day of frightful weather awaits some areas Thursday as a powerful winter storm hurtles across the northeastern United States. The Christmas storm unleashed heavy snow, bristling winds and tornadoes in the Midwest, killing six people, including two young children. The two - ages 1 and 2 - died in a car accident in Arkansas, state officials said. And as the storm, which started in the Midwest, continues surging east, snow will leave thousands of passengers stranded after flight cancellations. More than 360 flights have already been taken off the schedule for Thursday, tracking website FlightAware.com said. That's in addition to about 1,780 flights canceled a day before. Travelers are advised to check before leaving home to see if their flights are postponed or canceled. Forecasters said additional heavy snowfall is expected in various states, including upstate New York, southern New England and central Maine through Friday morning. As much as two feet of snow is possible in central Maine, leading to hazardous roads, forecasters said. A powerful winter storm system will again snarl air traffic in the Northeast on Thursday, canceling hundreds of flights as travelers try to get home after the Christmas holiday. Winter storm advisories are in place from central Pennsylvania to Maine, with snow accumulations of up to a foot expected by Friday morning, according to CNN meteorologist Bonnie Schneider. A tracking website said many flights across the country have been called off for weather and mechanical reasons. According to FlightAware.com, more than 360 flights have already been taken off the schedule for Thursday. That's in addition to about 1,780 flights canceled Wednesday. [Updated at 1:16 p.m. ET] At least 100 homes and business were damaged in the city of Mobile, Alabama with an additional 20 to 25 structures damaged just outside of the city, an Alabama Emergency Management official said. Eleven other counties are reporting structural damage, however August did not have exact numbers. Pike County, south of Montgomery, reported that one adult male was severely injured by the storm, however the extent of his injures were not known. [Posted at 9:17 a.m. ET] Major Chris Heathscott, spokesman for the Arkansas National Guard, says they have deployed resources for ambulance support in Pulaski and Faulkner counties. Fourteen personnel, and seven ambulances are providing ambulance support in the region. Heathscott, says that the area has had 6-8" of snow. Little Rock is in Pulaski County. In what could be one of the highest-level defections from the Syrian government, the country's military police chief has reportedly left Bashar al-Assad's forces to join "the people's revolution." In a video posted online this week, a man identified as Maj. Gen. Abdul Aziz Jassim al-Shallal announced his defection and said he was joining the country's popular uprising. "The Syrian military has strayed from its core mission in protecting the homeland to become nothing but armed gangs that kill and destroy the cities and the villages, carrying out massacres against our innocent civilian population that came out demanding freedom and dignity," he said. Al-Shallal had been plotting his escape to Turkey for weeks with the help of rebels, said Louai Miqdad, a spokesman for the rebel Free Syrian Army.